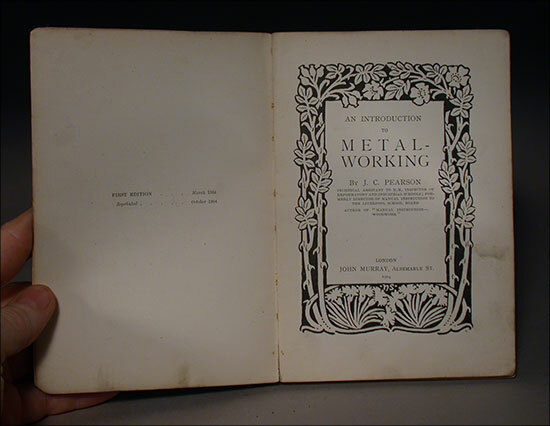 This 1904 book is 141 pages packed with serious information for metal workers. It covers basics like chiseling metals, filing, scraping and construction with thoroughness not seen in contemporary books and sources. 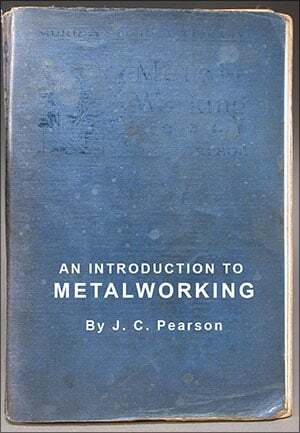 It has a section on basic lathe use and screw cutting which is really clear and instructive and finally excellent, deep, superb chapters on blacksmithing tools and principles. A book not to be missed. There are 88 really great illustrations in the form of clear, strong, line drawings and a number of photographs. 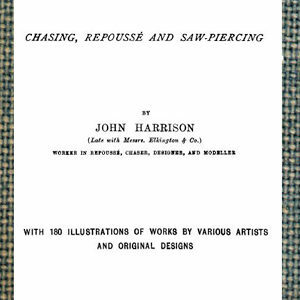 Chapters with in-depth detail include: Chiseling, Filing, Scraping, Vices, vice-Clamps and Filing boards, Soldering, Riveting, Drilling, Screw Cutting (what we would call Tap and Die work), The Simple Lathe, Turning, Screw Chasing (Lathe threading work), The Screw Cutting Lathe, Forging (and Blacksmithing). Annealing, Hardening and Tempering. This is an excellent book. Definitely worth reading and spending time with as a serious metalsmith. Lots of hard to find details of techniques neglected today. Very clear writing and solid, solid information. And now for a few notes on those details, concentrating on what is new, or forgotten, original, unique and special. Chiseling is dealt with in ways not seen in any contemporary book or even the internet. Extremely good drawings and information on carving solid metal, even steel, using chisels is given. Types of chisels, cutting angles, everything one wants to know is addressed in depth. Really good information. Filing too is thoroughly dealt with. Great information and clearly stated, one of the best discussions of filing I have run across. The antique process of scraping to smooth surfaces is addressed, now a forgotten technique but worthy of reviving for certain effects, and sometimes even speed of finishing a surface. 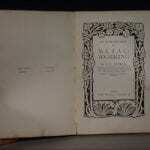 There are really great drawings, photographs, engravings and illustrations all through this text. Vises are well described and explained, as are the reasons one uses them, and particular versionsâ€� advantages. Caliper use, dividers, scribing blocks, measuring blocks, try squares and more are dealt with. 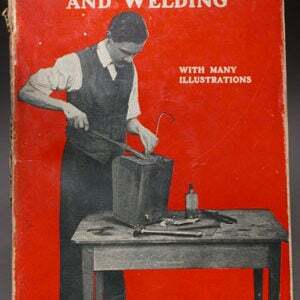 A great chapter on soldering follows, both hard and soft, with flux recipes, solder recepies and more. Then riveting is dealt with as are all kinds of hand operated drills. The section on tap and dies is very good and holds up well today. 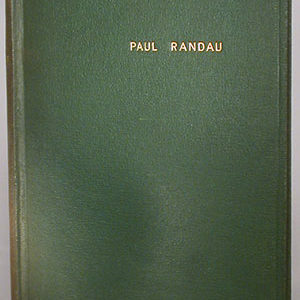 There are a number of chapters on lathe use. A foot operated lathe is properly investigated, with details not seen elsewhere. The information on operating the lathe works just as well for powered lathes, and in fact illuminate lathe work done for hundreds of years. Screw cutting by hand is shown. A solid chapter on forging, blacksmithing steel and using the forge is offered. It covers all the basic tooling, photos of tools, equipment and techniques. 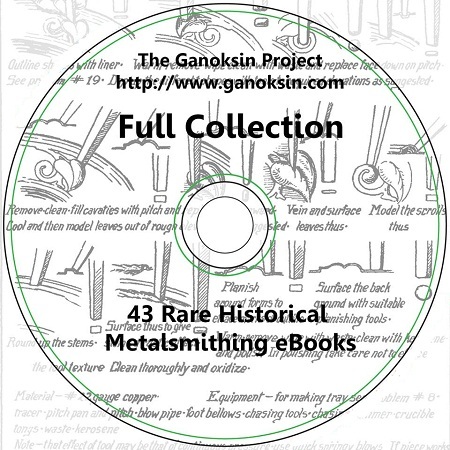 It is in fact a pretty good overview introduction to blacksmithing. A very interesting book worth having in your collection.